According to a BIT analysis, approximately 80% of people in the BVI community with IT and other technical skills are unemployed or underemployed in America. This means that companies are missing out on some of the best and brightest talent available in the country today. It means that talented individuals are left to live off public welfare programs, rather than being afforded the opportunity to put their skills to work and earn a living wage. The Blind Institute of Technology believes that addressing these problems is a moral and economic imperative. 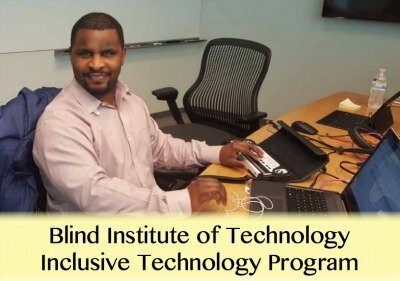 BIT focuses on communicating the benefits of accessible technology because we recognize it as a key barrier to full employment for professionals who are blind or visually impaired. On the employer side, inaccessible internal productivity software artificially limits the pool of skilled labor that businesses can hire from. Inaccessible products also have a smaller potential customer base, and can lead to costly and unnecessary lawsuits. For people who are blind or visually impaired, inaccessible technology imposes limits on all facets of life. From the job search to transportation, entertainment to shopping, inaccessible websites and mobile apps are an ever-present challenge to the BVI community. Despite the negative consequences of inaccessible technology, it remains a large, widespread problem. BIT knows this doesn’t need to be the case. Accessible tech is not only possible – it is simple to create. By offering an “easy button” approach to accessible technology, BIT can further the spread of accessible technology, benefiting both employers and the BVI community in the process. BIT has a proven track record. 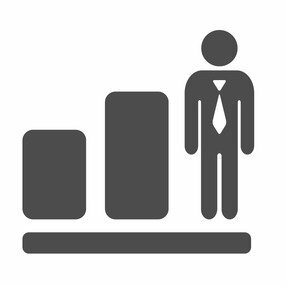 Our comprehensive array of services, rooted in our view of the Employment Life Cycle™ and focused on both job-seekers and employers, creates opportunities and value for all sides. Check out our testimonials, which speak to our successes better than we ever could!